Many small businesses don’t operate as tax-effectively as they could, or fail to plan how they are going to meet their tax obligations. Choose our service and we’ll get you tax efficient in no time! Did you know it’s not always cost effective to use a bookkeeper rather than an accountant for bookkeeping work? 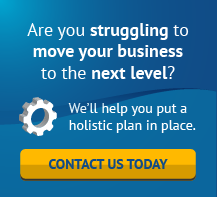 Find out how we can save your business money and help it reach its full potential. Just starting a business and need some help getting the set-up right? Or do you feel that your existing business could be doing better? Then it’s time to get our experienced advisers on the case. Like to have more control over your superannuation fund? Then a Self-Managed Super Fund (SMSF) may be the answer. Get advice on the best funds for you and other retirement planning options. Whatever stage your business is at, we can work with you to put into effect the changes and strategies that it needs to thrive. Ensure your business meets its goals with Accountants Australia. Whether you’re in the workforce, a business owner, about to retire, or already retired, you should be thinking about the future. Talk to our team of experts today to safeguard your finances. Accountants Australia Pty Ltd (Accountants Australia) is a Registered Tax Agent (No. 65465003), ABN 87 098 369 067. Preparation of one personal Income Tax Return incorporating the options you have selected (if applicable) for the financial year you have provided the information for. Lodgement of the prepared personal Income Tax Return with the Australian Taxation Office. By engaging our services, you acknowledge and accept the following client’s responsibilities, terms and conditions. You will be required to provide to us in a timely manner all the necessary income tax information uploaded via client log in on our website to compile your income tax return. You are responsible for the accuracy and completeness of the particulars and information provided in relation to taxation services and this responsibility rests with you. Any advice given to you is only an opinion based on our knowledge of your particular circumstances. A taxpayer has obligations under self assessment to keep full and proper records in order to facilitate the preparation of accurate returns. It is the taxpayer’s responsibility to keep those records for five (5) years. Capital Gains Tax records must be kept for a minimum of 5 years after the disposal of assets. A taxpayer is responsible under self assessment to keep full and proper records in order to facilitate the preparation of a correct return. Whilst the Commissioner of Taxation will accept claims made by a taxpayer in an income tax return and issue a notice of assessment, usually without adjustment, the return may be subject to later review. Under the taxation law such a review may take place within a period of up to four (4) years after tax becomes due and payable under the assessment. Furthermore, where there is fraud or evasion there is no time limit on amending the assessment. Accordingly, you should check the return before it is signed to ensure that the information in the return is accurate. You are to ensure that you have all source documentation available to allow this firm to analyse the income tax implications of any transaction, if we request to see it. Whilst we will not as a matter of course be looking at these documents, the ATO will expect you (and you are required) to have them available before any claim is made in your income tax return. We may in some circumstances also request to see source documents if a tax issue is particularly contentious. We will specifically advise as to the requirements of the substantiation provisions relating to your income tax return and of the necessity to obtain acceptable receipts as specifically required by the legislation. We will not, however, be checking that the requirements of the substantiation provisions have been satisfied. This specifically means that we will not be reviewing your log book or any calculations or information you provide us, for example a rental property schedule either prepared by you on spreadsheet or by a property manager. If you require assistance in completing a log book or preparing any calculations or you would like us to review such work, please discuss this with us. This will entail work which is outside the scope of our engagement and will be charged as additional services. Where the application of a taxation law to your particular circumstances is uncertain you also have the right to request a private ruling which will set out the Commissioner’s opinion about the way a taxation law applies, or would apply, to you in those circumstances. You must provide a description of all of the facts (with supporting documentation) that are relevant to your scheme or circumstances in your private ruling application. If there is any material difference between the facts set out in the ruling and what you actually do the private ruling is ineffective. A separate fee will be applicable and we will advise you before proceeding. If you rely on a private ruling you have received, the Commissioner must administer the law in the way set out in the ruling, unless it is found to be incorrect and applying the law correctly would lead to a better outcome for you. Where you disagree with the decision in the private ruling, or the Commissioner fails to issue such a ruling, you can lodge an objection against the ruling if it relates to income tax, fuel tax credit or fringe benefits tax. Your time limits in lodging an objection will depend on whether you are issued an assessment for the matter (or period) covered by the private ruling. Any information acquired by us in the course of our engagement is subject to strict confidentiality requirements. Information will not be disclosed by us to other parties except as required or allowed for by law or professional standards, or with your express consent. Our files may, however, be subject to review as part of the quality control review program of CPA Australia which monitors compliance with professional standards by its members. We advise you that by agreeing to our terms and conditions you acknowledge that, if requested, our files relating to this engagement will be made available under this program. Should this occur, we will advise you. The same strict confidentiality requirements apply under this program as apply to us. In the interest of enhancing our availability to meet your professional service needs while maintaining service quality and timeliness, we may use a third party provider to assist us in the performance of some of the services. The provider has established procedures and controls designed to protect client confidentiality and maintain data security. We remain responsible for exercising reasonable care in the delivering of the above services, and they will be subject to our firm’s normal quality control procedures. We may collect Personal Information about your representatives, your clients and others when we provide services to you. If we do, you agree to work with us to ensure that we both meet the obligations that we each may have under the Privacy Act 1988 (Cth) (as amended) (Privacy Act). The obligations may include notifying the relevant person to whom the personal information relates who we are and how we propose to use their personal information. Where you have collected personal information, you confirm that you have collected the personal information in accordance with the Privacy Act, that you are entitled to provide this personal information to us and that we may use and disclose the personal information for the purpose/s we provide our services to you. We will handle personal information in accordance with the Privacy Act. Our liability is limited by a scheme approved under Professional Standards Legislation. It is agreed that if an unanticipated need arises (such as, but not limited to, an audit by a taxing agency, specific tax advice or any other exogenous service not anticipated in this engagement), Accountants Australia Pty Ltd hereby agrees to perform this additional work at a mutually agreed upon price before the service is provided. Your personal information is stored on both in-house servers, as well as on third-party servers (which may or may not be located in Australia). As such, your personal information may be transmitted via the Internet. The Internet is an insecure public network and there is a potential risk that your personal information may be viewed, intercepted or modified by third parties. Accountants Australia and any associated parties accept no liability for any unauthorised viewing, interception, modification, dissemination or other misuse of your personal information. Any links to third-party websites/software available on this website, any third-party websites/software that Accountants Australia uses to deliver services or communicate with you, and any third-party websites/software that Accountants Australia suggest or offer you to use, are provided “as is” without warranty of any kind, either expressed or implied and such websites/software are to be used at your own risk. The use of the aforementioned third-party websites/software (“Websites/Software”) is done at your own discretion and risk and with agreement that you will be solely responsible for any damage to your computer system or loss of data that results from such activities. You are solely responsible for adequate protection and backup of the data and equipment used in connection with any of the Websites/Software, and we will not be liable for any damages that you may suffer in connection with downloading, installing, using, modifying or distributing such Websites/Software. No advice or information, whether oral or written, obtained by you from us or from this website shall create any warranty for the Websites/Software. The Websites/Software will meet your requirements. The Websites/Software will be uninterrupted, timely, secure or error-free. The results from the use of the Websites/Software will be effective, accurate or reliable. The quality of the Websites/Software will meet your expectations. If errors or problems occur in connection with a download of the Websites/Software obtained from the links on this website, they will be corrected. The Websites/Software could include technical or other mistakes, inaccuracies or typographical errors. At any time without prior notice, we may make changes to the links pointing to Websites/Software or documentation made available on the third-party’s website. The Websites/Software may be out of date, and we make no commitment to update such materials. We assume no responsibility for errors or omissions in the Websites/Software or documentation available from its website. In no event shall we be liable to you or any third parties for any special, punitive, incidental, indirect or consequential damages of any kind, or any damages whatsoever, including, without limitation, those resulting from loss of use, lost data or profits, or any liability, arising out of or in connection with the use of these Websites/Software. Accountants Australia will prepare all documents in accordance with Australian Taxation Law, based on the information and documentation provided by you or your agents (the client). The client acknowledges that the final refund (or payable) amount is determined only by the Australian Taxation Office (ATO), and that ATO interpretations or implementations in taxation law may affect the refund (or amount payable). The client agrees to monitor and act on all incoming emails from Accountants Australia, as the main form of communication between Accountants Australia and the client. The client’s email is the email address supplied upon application. The client agrees to regularly check junk mail folders, and to clear their inbox regularly to ensure that client will respond to queries from Accountants Australia within the time frame stipulated in our emails. We reserve the right to terminate our engagements for whatever reasons and any fees paid will be refunded on a pro rata basis for services (or part thereof) not rendered. Once the client has engaged our services, Accountants Australia will not offer refunds if the client wishes to terminate (e.g. due to a change of mind), except in situations we are required to by applicable Australian laws. The client agrees that multiple returns or amendments may be lodged for all due years, and that each return incurs a separate fee. The client makes contact with the ATO directly, without prior consultation with Accountants Australia. Accountants Australia accepts no liability for any tax office initiated reviews and/or amendments as a result of incorrect or incomplete information supplied by the client, and in this event, reserves the right to assist the client upon mutual agreement (whereby extra charges may apply), or cease to act as an agent for the client. Accountants Australia accepts no responsibility for, and has no control over, charges applied by the ATO’s or the client’s banks in the advent of a tax refund. The client agrees that upon ceasing to act as their authorised agent, Accountants Australia will update ATO correspondence records to the last known residential address of the client, as submitted on their application form. Accountants Australia will not be held responsible for processing delays by the ATO once a tax return is lodged. Whilst Accountants Australia can follow ATO procedures to escalate returns, we are not able to influence the processing times of the ATO and accept no responsibility for returns that exceed the expected service period. Accountants Australia accepts no responsibility for mail received on behalf of a client that is not in direct relation to services provided by Accountants Australia to the aforementioned client at that time. These terms & conditions may be subject to additions or amendments when necessary. Changes will be posted via our website; the client is advised to check this regularly. Preparation of one set of Financial Statements for one entity (the “Client”) for the financial year that the Client/Client’s agent (“You”) have provided the information for. Preparation and Lodgement of the Income Tax Return of the same entity with the Australian Taxation Office. This work will be conducted in accordance with the relevant professional and ethical standards issued by the Accounting Professional & Ethical Standards Board Limited (APESB). (c) a taxpayer has obligations under self assessment to keep full and proper records in order to facilitate the preparation of accurate returns. It is the taxpayer’s responsibility to keep those records for five (5) years. 1. Up-to-date and reconciled General Ledger/Cash Book. 2. Copies of your Business Activity Statements that were reported to ATO. 4. Copy of Bank Statements. 5. Details of new assets purchased (including cars for FBT purposes). 8. Detailed list of superannuation payments for the employees. 9. Other items as requested from time to time. Furthermore, the parties agree that if an unanticipated need arises (such as, but not limited to, an audit by a taxing agency, or any other exogenous service not anticipated in this agreement by the parties), Accountants Australia Pty Ltd hereby agrees to perform this additional work at a mutually agreed upon price before the service is provided. This service will be billed separately to You, as part of a Change Order, and will be payable upon presentation (or payable upon terms mutually agreed upon). Prior to entering the engagement and during the engagement we will attempt to ensure there is no conflict of interest. You must immediately advise us if, during the engagement You become aware of any conflict of interest or potential conflict of interest or there is a change of circumstances which may result in a conflict. If a conflict of interest does arise during the engagement, we will take appropriate steps to resolve the conflict as agreed by all parties involved and permitted by law. Our engagement is to assist with the preparation of the financial accounts and the preparation and lodgement of the taxation return of the Client. The bookkeeping for the Client is maintained on a regular basis. In fact, we recommend the bookkeeping and record-keeping tasks be attended to each week. Reconciliations for the bank accounts, debtors and creditors are performed at the end of each month. A stocktake will be performed during the last weekend in June for the Client that deals in trading stock. It is expected that the trial balance of the Client will be completed no later than 31 July each financial year. You or your staff will be responsible for maintaining and regularly balancing all books of accounts, and the maintenance of an adequate accounting and internal control system of the Client. You also acknowledge that the reliability, accuracy and completeness of the accounting records are your responsibility and that You have disclosed to us all material and relevant information. Our firm is not being engaged to conduct a statutory audit of the financial records of the Client and we will not express an auditor’s opinion as to the truth and fairness of the financial statements. Our involvement in this type of engagement will not disclose fraud, defalcations or other irregularities which may occur. However, any material weaknesses in the accounting or internal control systems which come to our notice will be drawn to your attention. Before we lodge any returns on your behalf, we will forward the documents to You for approval. We will endeavour to ensure that the returns are lodged by the due dates and will advise You at the beginning of the financial year when documentation should be provided to us. If You are late in providing information, we will do our best to meet the time limits, but we will not be responsible for any late lodgement penalties or interest charges You may incur. The final Financial Statements, Income Tax Returns and any other documents which we are specifically engaged to prepare, together with any original documents given to us by You, shall be the property of You. Any other documents brought into existence by us including general journals, working papers, the general ledger, draft financial statements and copies of tax returns, will remain our property at all times. It should be noted at the outset that as a general proposition we rely upon You to provide us with accurate and timely information to enable us to properly perform our engagement obligations. Consequently, any rectifying work performed by us on the basis of incorrect or late information will be work which is outside the scope of our engagement and will be charged as additional services. The financial information provided to us is accurate. You have the necessary supporting documentation to satisfy the Australian Taxation Office for GST purposes. You hold valid tax invoices and adjustment notes for all expenditure incurred by the Client in respect of which an input tax credit is being claimed. Substantial penalties apply for an incorrectly prepared BASs. When the financial accounts are prepared, some discrepancies may exist between the information disclosed in the quarterly BAS returns and in the annual financial statements. Should any discrepancies arise, we will discuss the need to correct either the BAS returns and/or financial accounts. Those services will involve additional work. If You have not selected this as an option, we will contact You with regards to additional charges for additional services. Notes for the above accounts. This service includes maintenance of the chart of accounts for the general ledgers of the Client. 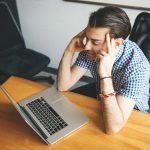 Depending on the package or options chosen and paid for, it may also include telephone support should You require any assistance as to how to record specific transactions in the general ledger. This service does not include the preparation of one-off accounts for presentation to your financiers for additional finance and the like. This firm has been engaged to prepare and lodge income tax return for the Client. This firm will not be responsible for reviewing or verifying any financial records or statements provided to it either via manual cashbooks or prepared on accounting software such as Xero, MYOB or Quickbooks. Correct coding or classification of accounts is outside the scope of this engagement. If assistance is required in how to correctly code or to review how You currently do so, please discuss this with us. This will entail work which is outside the scope of this engagement and will be charged as additional services. Also please ensure that You have all source documentation available to allow this firm to analyse the income tax implications of any transaction, if we request to see it. Whilst we will not as a matter of course be looking at these documents, the ATO will expect You (and You are required) to have them available before any claim is made in your income tax return. We may in some circumstances also request to see source documents if a tax issue is particularly contentious. Where the application of a taxation law to your particular circumstances is uncertain You also have the right to request a private ruling which will set out the Commissioner’s opinion about the way a taxation law applies, or would apply, to You in those circumstances. You must provide a description of all of the facts (with supporting documentation) that are relevant to your scheme or circumstances in your private ruling application. If there is any material difference between the facts set out in the ruling and what You actually do the private ruling is ineffective. Accountants Australia will prepare all documents in accordance with Australian Taxation Law, based on the information and documentation provided by the entity or the entity’s agents (the “Client”). The Client acknowledges that the final refund (or payable) amount is determined only by the Australian Taxation Office (ATO), and that ATO interpretations or implementations in taxation law may affect the refund (or amount payable). Once the Client has engaged our services Accountants Australia will not offer refunds if the Client wishes to terminate (for example due to a change of mind), except in situations we are required to by applicable Australian laws. The Client agrees that upon ceasing to act as their authorised agent, Accountants Australia will update ATO correspondence records to the last known address of the Client, as submitted on their application form. Accountants Australia accepts no responsibility for mail received on behalf of the Client that is not in direct relation to services provided by Accountants Australia to the Client at that time. We will conduct the services listed below in accordance with the relevant professional and ethical standards issued by the Accounting Professional and Ethical Standards Board (APESB) and the Tax Agent Services Act 2009. Our services are limited to those listed only, we will not perform any audit or review and accordingly, no assurance will be expressed. We will attend to the bookkeeping for one entity (the “Client”) and prepare the following documents for lodgement to the Australian Taxation Office for the purposes agreed to in this engagement. Attendance to monthly bookkeeping and reconciliation of the Client’s bank accounts in Xero or MYOB web-based accounting programs. Preparation of Business Activity Statements (BAS) for the period that the Client/Client’s agent (“You”) have paid and provided the information for. The disclosure of irregularities including fraud or other illegal acts or errors that may exist cannot be relied upon by this engagement. Any such matters that come to our attention in this regard will be communicated to You. We make no assumption of responsibility for reliance on the documents listed above by any person or entity other than Yourself and party indicated in the list above. The documents shall not be used for any purpose other than the purpose for which they are prepared; where necessary they will include a disclaimer to this effect. We will prepare the BAS for the Client and the deadline for the return is as listed in our ATO lodgement program. To ensure that the Client’s return is prepared in time to meet these deadlines please provide us with all of the information required for the completion of Your return at least 30 days before the due date. You will be advised of the date once we have accepted Your engagement of our services. Prior to entering into the engagement and during the engagement we will attempt to ensure there is no conflict of interest. You must immediately advise us if, during the engagement, You become aware of any conflict of interest or potential conflict of interest or there is a change of circumstances which may result in a conflict. You are responsible for the accuracy and completeness of the details and information You provide to us and the disclosure of all material and relevant information. This includes informing us of any change in Your circumstances and advising us of any subsequent event which may affect the accuracy and completeness of the information provided. We may ask questions of You regarding the information provided. You are responsible for providing accurate and complete responses to our questions within a reasonable time. This should not be taken as meaning that we will verify the accuracy and completeness of the information provided. The taxation law provides You with “safe harbours” from penalties for incorrect or late tax returns if You provide “all relevant taxation information” to us in a timely manner. Failure to discharge the responsibilities described above may mean that You are not eligible for that “safe harbour” protection. Information acquired by us in the course of this engagement is subject to strict confidentiality requirements and we will not disclose that information to other parties except as required or allowed by law, or with Your written consent..
We will advise You of Your rights, obligations and options available to You under taxation laws. We may also provide You with advice on the application of taxation laws, including any possible penalties and other consequences to enable You to make an informed decision of the course of action that may be taken. Taxation laws change frequently. All advice will be based on the current law at the time the advice is provided. It is Your responsibility to obtain updated advice in relation to actual or proposed transactions entered into at a later time. We will act in Your best interests at all times, subject to the overriding requirement that we must comply with the law. For example, we would be unable to lodge a tax return for You that we knew contained a false or misleading statement. Our firm’s quality control procedures have been established and maintained in accordance with APES 320 – Quality Control for Firms and, as a result, our files may be subject to review under the CPA Australia quality control review program. By accepting our engagement, You acknowledge that, if requested, our files relating to this engagement will be made available under this program. We will advise You if this occurs. All original documents obtained from You in respect to this engagement shall remain Your property; however we reserve the right to make copies of the original documents for our records. Ownership of the documents produced as part of this engagement will vest in You. All other documentation produced by us in respect of the engagement will remain the property of our firm. Preparation of one set of Financial Statements for one Self Managed Superannuation Fund entity (the “Client”) for the financial year that the Client/Client’s agent (“You”) have paid and provided the information for. The procedures we perform will be limited to those required for the above purposes. In relation to the Fund’s financial statements, unless otherwise agreed, this engagement cannot be relied upon to disclose irregularities, including fraud, other illegal acts and errors that may occur. Our procedures will, however, include preparation of a file ready for the Fund’s auditor. Our services will be provided in accordance with relevant professional and ethical standards issued by the Accounting Professional and Ethical Standards Board (APESB) and the professional bodies to which we belong. These include APES 220 – Taxation Services and APES 315 – Compilation of Financial Information. At a minimum, we will prepare annual financial statements for distribution to the trustee(s) and member(s) of the Fund and an annual income tax return for lodgement with the Australian Taxation Office. These will be completed by the due date for lodgement as per our firm’s lodgement program with the Australian Taxation Office, or such earlier time requested by you, within reason. The above timing is subject to all necessary records being received in our office at least six weeks before the required date. Additional financial information, reports or advice will be prepared at your request. The output described above shall not be used for any purpose other than the purpose for which it is prepared. Our report will include a disclaimer to that effect. Our firm’s liability to you or any other user of the output is limited by a Scheme approved under Professional Standards Legislation. Information acquired by us in the course of this engagement is subject to strict confidentiality requirements and we will not disclose that information to other parties except as required or allowed by law, or with your consent. Our firm’s quality control procedures have been established and maintained in accordance with the professional standard APES 320 – Quality Control for Firms. As a result, our files may be subject to review under the quality review program of CPA Australia. By signing this letter, you acknowledge that, if requested, our files relating to this engagement will be made available under that program. We will advise you if this should occur. We will provide you with a Compilation Report each year disclosing the basis of accounting used and the requirements of any applicable Australian Accounting Standards. You are responsible for the reliability, accuracy and completeness of the accounting records provided to us, and for disclosure to us of all material and relevant information. Each year, we will obtain from you an acknowledgement of that responsibility. You are responsible for the accuracy and completeness of the particulars and information provided to us. You have an obligation under self assessment to keep full and proper records in order to facilitate the preparation of accurate returns. Ownership of the financial statements, income tax returns and other reports or correspondence produced as part of this engagement will vest in you. All other documentation produced by us in respect of the engagement will remain the property of our firm. 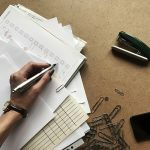 In the event of a dispute, our firm has a policy of exploring a legal right of lien over any client documents in our possession. We will conduct the services listed below in accordance with the relevant professional and ethical standards issued by the Accounting Professional and Ethical Standards Board (APESB). Our services are limited to those listed only, we will not perform any audit or review and accordingly, no assurance will be expressed. Application for TFN, ABN, GST and PAYG Withholding registrations as required. It is your responsibilities to provide proof of identity for all parties involved in the structure selected. Information acquired by us in the course of this engagement is subject to strict confidentiality requirements and we will not disclose that information to other parties except as required or allowed by law, or with Your written consent. Tccountants Australia will not be held responsible for processing delays by the ATO once a tax return is lodged. Whilst Accountants Australia can follow ATO procedures to escalate returns, we are not able to influence the processing times of the ATO and accept no responsibility for returns that exceed the expected service period. Attend to the set up of a Xero accounting data file for a new start up business or conversion of your MYOB accounting data file or Quicken accounting data file to Xero depending on what You have purchased. You are responsible to learn the basics of the Xero accounting software via the Xero website. 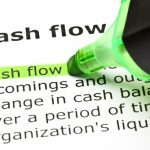 Are cash flow gaps hurting your small business?